San Hoa Thang was born in Saigon, Vietnam on 28 August 1954. He completed his BSc in Chemistry (University of Saigon, Faculty of Science, Vietnam) in 1976, and held the position of Chemist (SINCO Sewing Machine Manufacturing Co., Ho Chi Minh City, Vietnam) from 1976 to 1979. He arrived in Brisbane, Australia as a refugee from Vietnam in 1979. He obtained his BSc (Hons) in Chemistry with Prof Gus Guthrie (Griffith University, Brisbane) in 1983 and his PhD in Organic Chemistry (Griffith University, Brisbane) in 1987 under the supervision of Drs Jenkins and Busfield (Griffith University, Brisbane) and Drs Ezio Rizzardo and David Solomon (CSIRO). 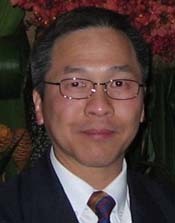 San Thang joined CSIRO in 1986 as a Research Fellow, and then moved to ICI Australia Research Group in late 1987 to undertake the challenge of industrial research in UV sunscreens and agrochemicals. He re-joined CSIRO in late 1990 rising to the position of Senior Principal Research Scientist in 2000. From November 1999 to May 2000 he spent six months as a Visiting Scientist at EI DuPont Performance Coatings, Troy Laboratory, Michigan, USA. In 2012 he was appointed Chief Research Scientist with the CSIRO Division of Materials Science and Engineering (CMSE), a position he held until 2014. From 2014-2018 he was appointed ‘Distinguished Expert’ of the China Recruitment Program of Global Experts (1000 Plan), Beijing University of Chemical Technology (BUCT), China. In 2015 he became as a Professor of Chemistry at Monash University. His research focus is primarily on the interface between organic and polymer chemistry. He is a leading expert in the field of free radical chemistry and polymer chemistry and has developed and held several key inventions in the area of controlled/living radical polymerisation. Significantly, he is a co-inventor of the living radical polymerisation by reversible addition-fragmentation chain transfer (the RAFT process). As at June 2018, Professor Thang has published 15 book chapters and >130 papers in peer-reviewed journals. His published papers have attracted more than 17,380 citations based on ISI Web of Science Core Collection™ (June 12 2018), which corresponds to around 127 citations per publication. His h-index is currently 47. He has 31 publications each with more than 100 citations. Most significantly, 1 publication > 3,400 citations (First RAFT communication published in Macromolecules 1998), and 1 publication > 1,500 citations (First RAFT review published in the Australian Journal of Chemistry 2005). The remaining are 1 publication more than 800 citations, 1 publication more than 700 citations, 3 publications more than 600 citations, 1 publications more than 500 citations, 6 publications more than 400 citations, 3 publications more than 300 citations, 2 publication more than 200 citations and 12 publications with more than 100 citations. He is also a named co-inventor of 25 family patents. Thang SH, 2018, Personal communication.